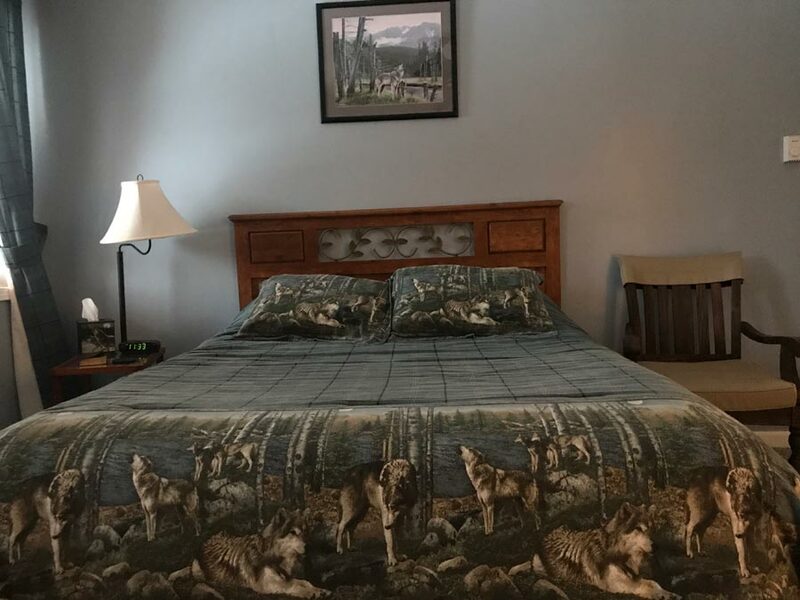 The Wolf Room offers in-room coffee, satellite TV, free WiFi and a comfortable queen bed and a futon. 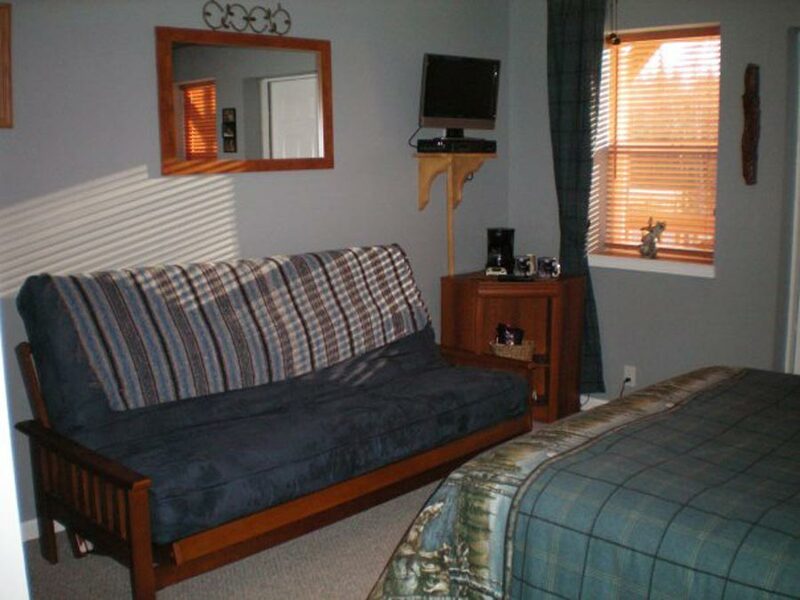 All rooms are single or double occupancy. Watch carefully for moose or bear that are often seen along the roadside. 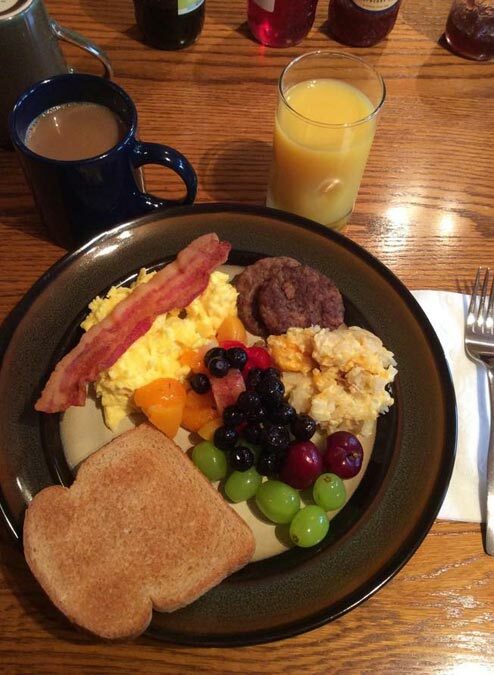 We know you'll enjoy your breakfast here! Have a few questions? Contact Us! 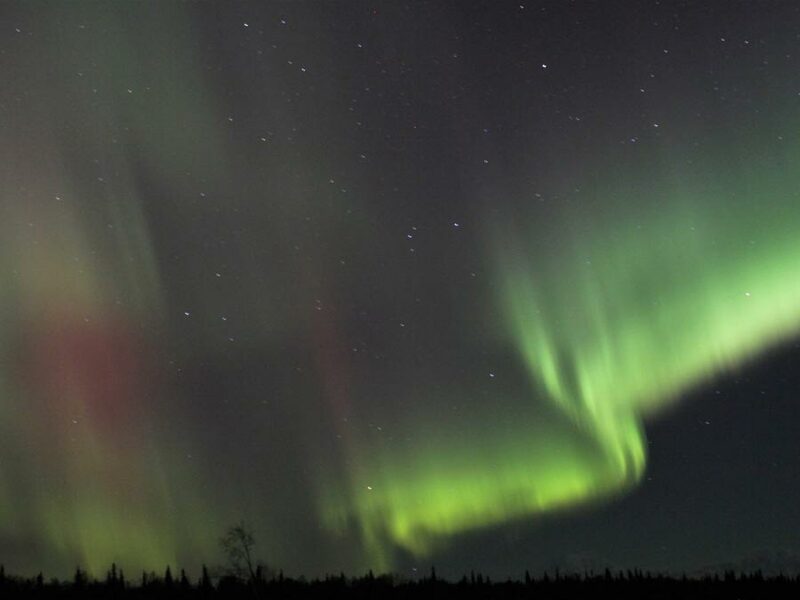 We are open year-round so you can enjoy a variety of outdoor activities such as flightseeing, dog mushing, snowmobiling, hunting, fishing and backcountry skiing which are available in this historic area of Alaska.